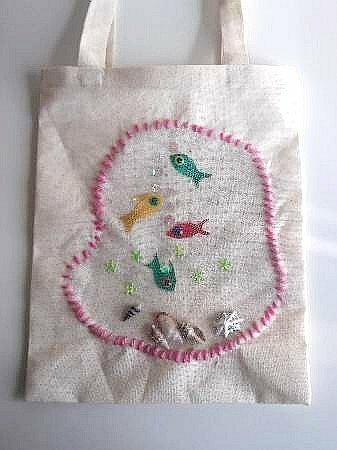 Here is some easy instructions for girls to make a beach bag with a simple design to take on vacation. 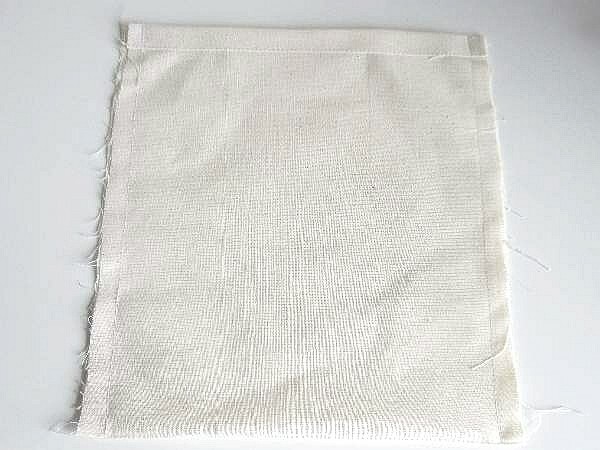 Fold a 22 x 9 1/2 inch piece of calico cloth in half and press. (For a larger bag, double the measurements.) 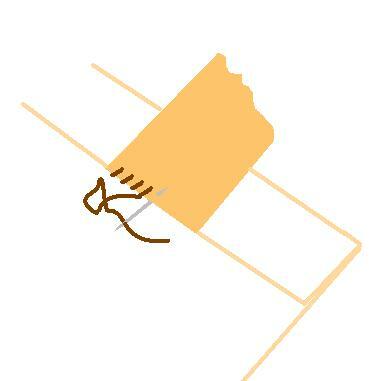 Fold over a 1/2 inch and press at each end, then fold over another 1/2 inch and press again. 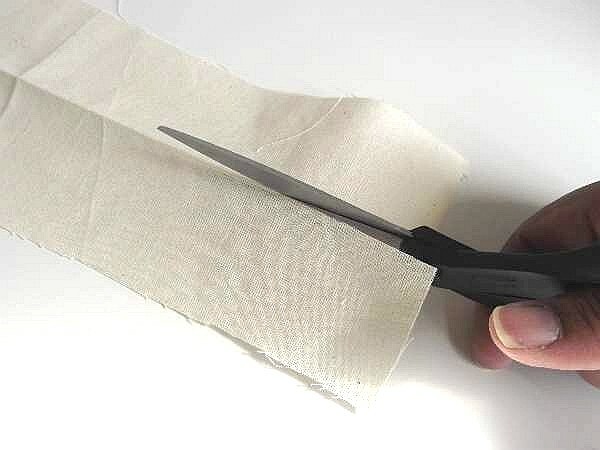 Stitch by hand or by sewing machine along the edge of the folds. 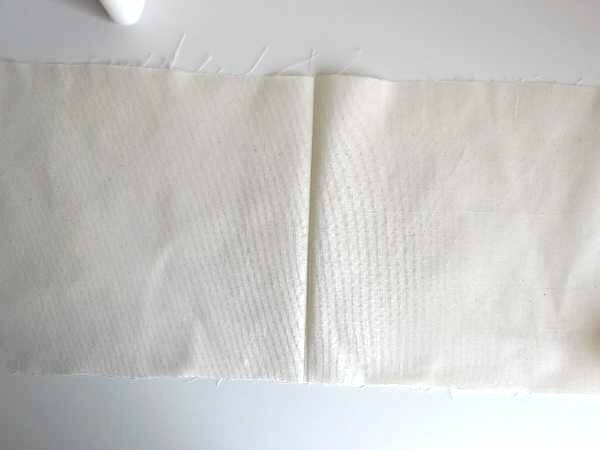 With the right sides together stitch up the sides with 3/4 inch seam allowance. Turn the bag to the outside and press. 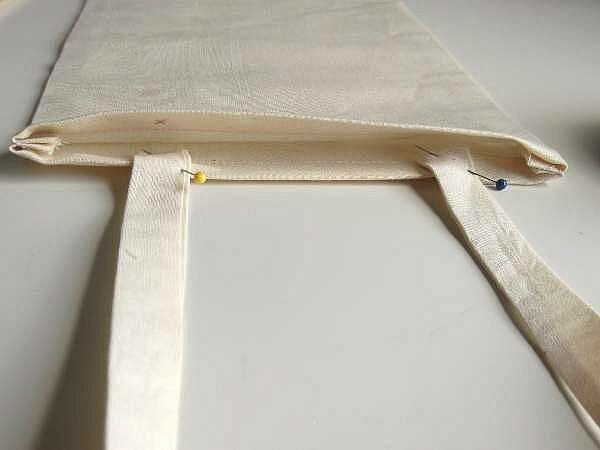 Put a small mark with chalk 1 1/2 inches along from the side seams on the inside of the bag to indicate where you will attach the straps. For a larger bag make it 3 inches from the sides. Now fold them in half again with right sides together and press lightly. Stitch along the edge and along one end of each strap. Leave the other end open, then turn them out to the right side. 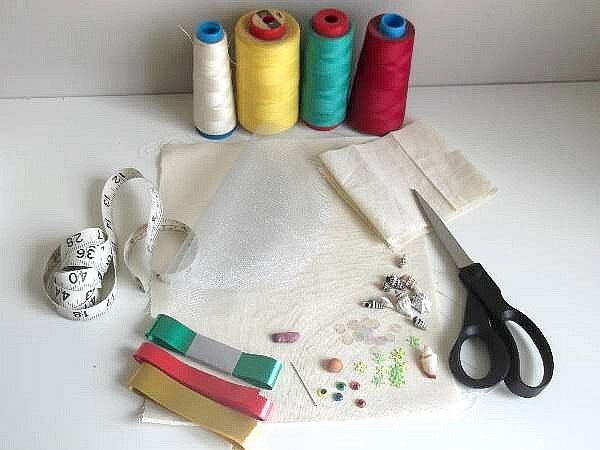 You can use a dowel or a ruler if you are making a larger bag, to help you push the fabric through. Start pushing in from the closed end all the way through until it pops out at the other end. 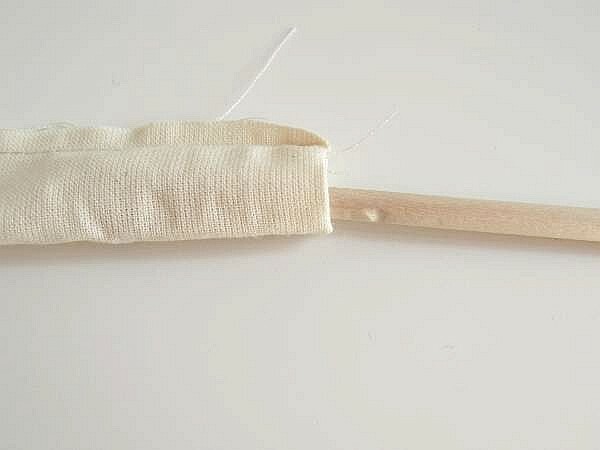 Remove the dowel, hold onto the closed end and pull the rest so that it rolls out. 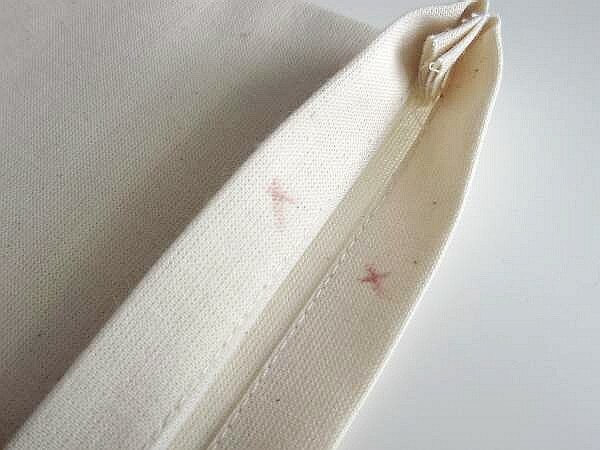 Press the straps and with the raw edges tucked inside, pin and stitch both ends of one strap to the inside edge of one side where you put the marks. 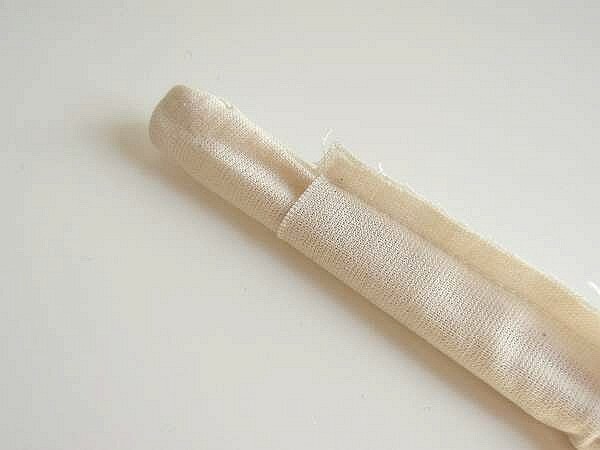 Make sure your straps are not twisted before you sew them. There is nothing worst than having to unpick sewing. Attach the other strap to the opposite side. 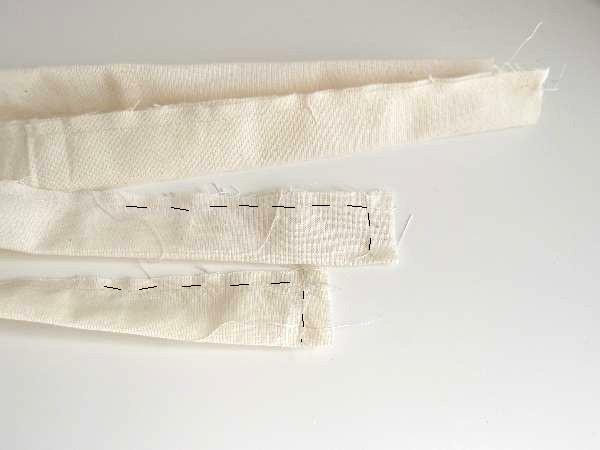 If you are sewing by hand, use an over stitch or slip stitch. See the illustration. 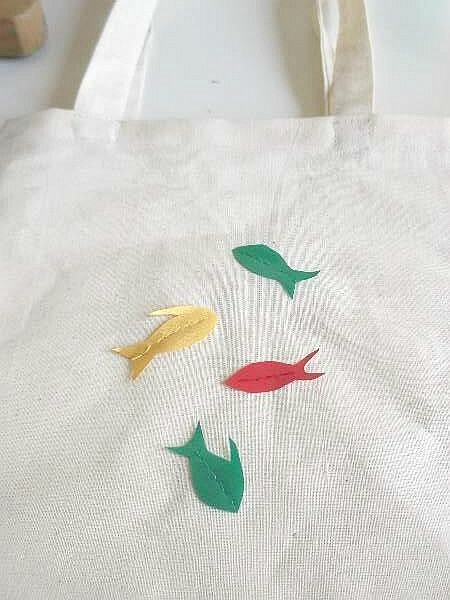 To make a beach bag look the part, think of a design that has a seaside theme. 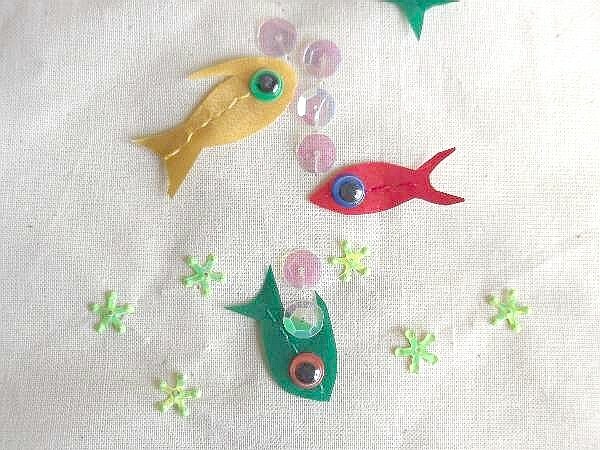 We cut out some little fish from the curling ribbon and chose some pink see-through sequins and green sparkly star sequins. 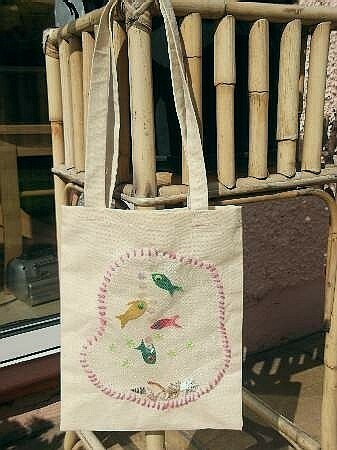 With 1 or 2 stitches, attach them to the middle of the bag on the front and back if you like. Sew on a few sparkly sequins too. 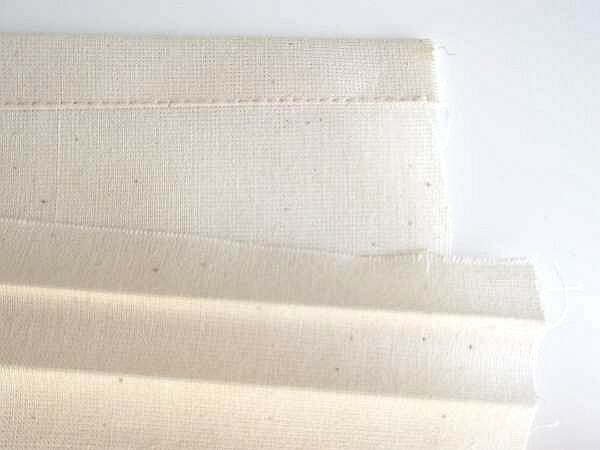 It`s better to use thread that is the same color as these decorations for a nice finish. 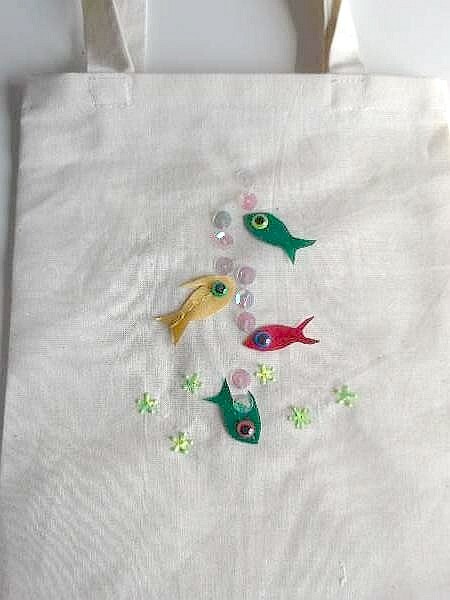 I used invisible thread to sew on the sequins. 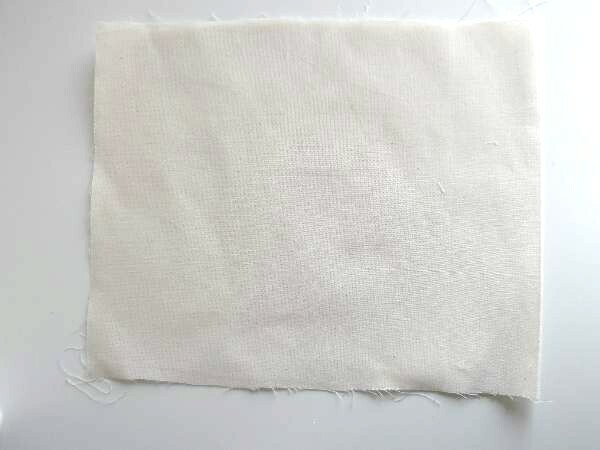 It`s not really invisible, but transparent thread. This can be tricky to work with so choose something you can work easily with. The googly eyes are big but they look great. 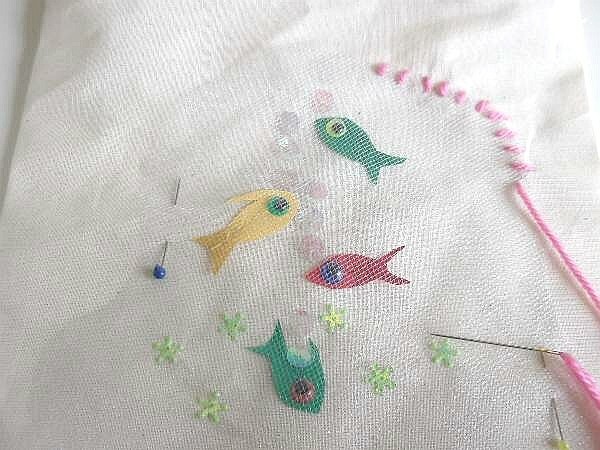 Cut out a curvy shape from the sparkly net, enough to place over the fish and sequins. 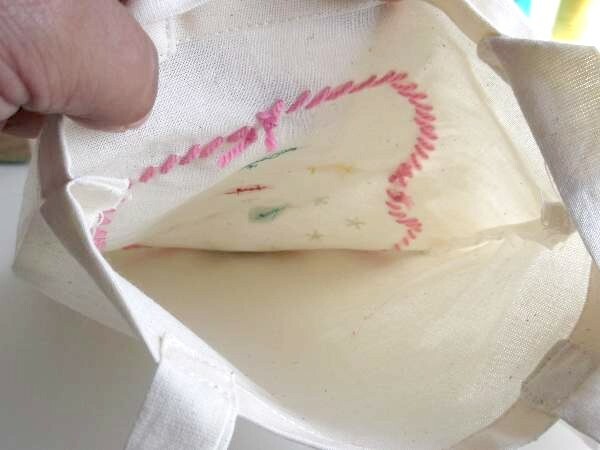 Over stitch it to the bag all the way around the edge but leave a small opening. I used a pink wool but found it a bit tough to pull through. 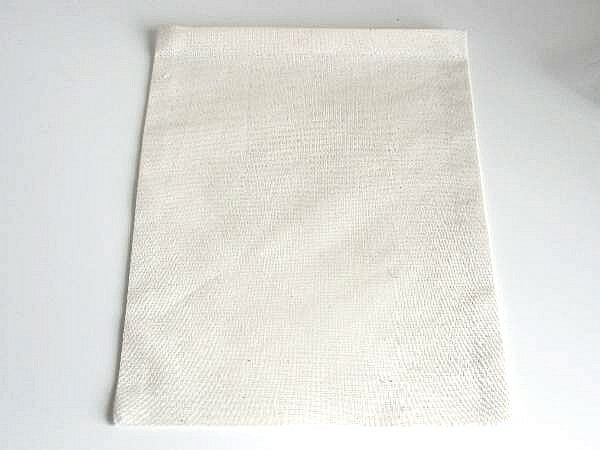 You may prefer to use embroidery thread instead. 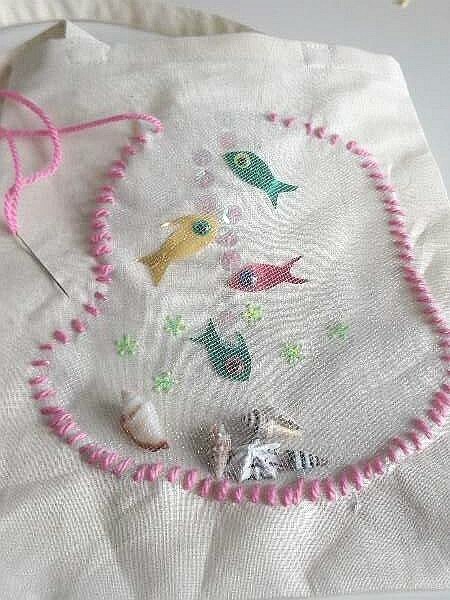 Now pop the little shells in and sew the opening up. 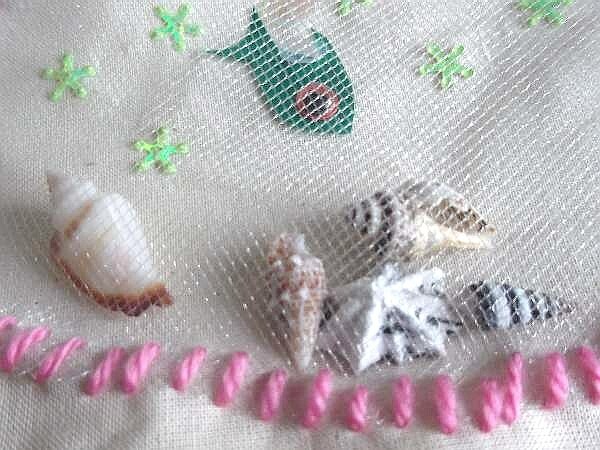 Now that you know how to make a beach bag go gather your materials together and get started. 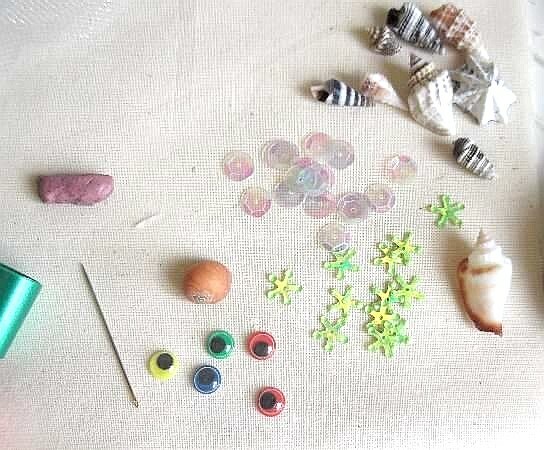 ...or see some more summer crafts for kids.